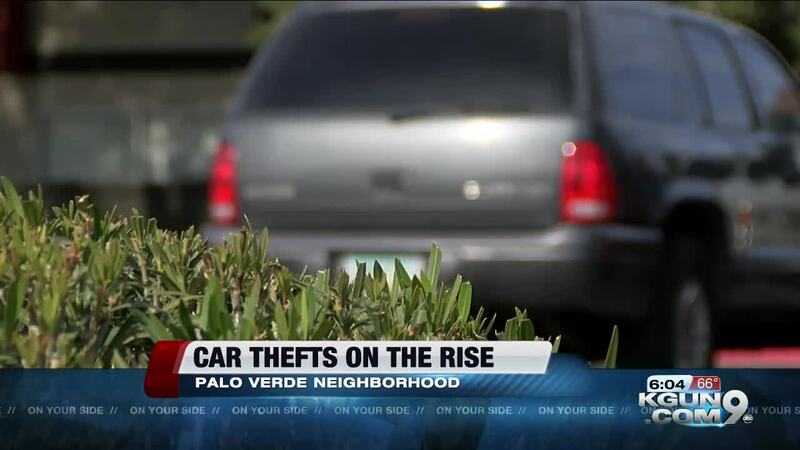 Car thefts are on the rise in Midtown Tucson, according to police. Neighborhood association president, Ronni Kotwica, says there were three cars stolen in the past 10 days. According to Tucson Police, there's a nearly 20 percent increase in stolen cars in Midtown this year, compared to last. Kotwica is concerned some of these thefts are heroin rides, where heroin users are stealing cars. "And using the vehicle to get to where their fix is, they get their fix, they get back to an area where they live, and then they just dump the car," Kotwica said. But while Tucson Police are investigating these thefts, they say there is no evidence so far they are being used for heroin rides. For now, officers are encouraging people in the area to harden the target. Part of the problem in the neighborhood, Kotwica says, is people are leaving their cars unlocked or with the keys inside.